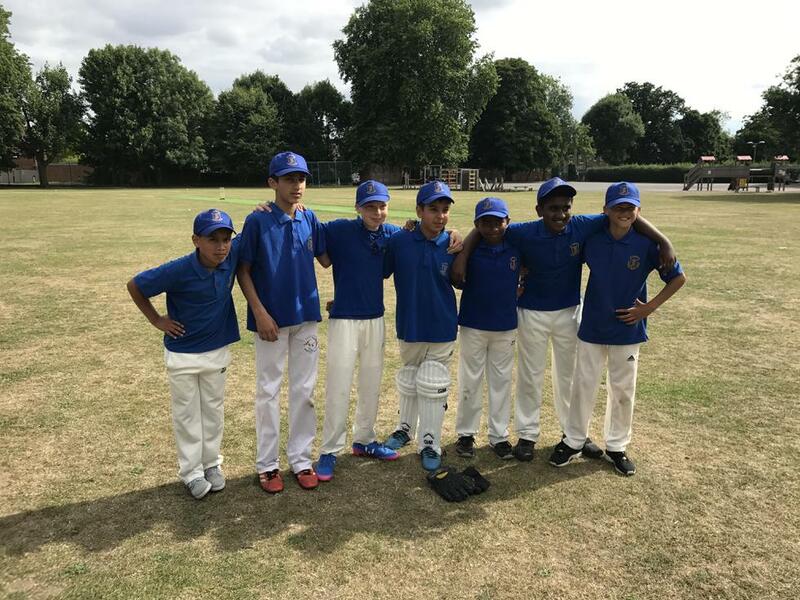 St Josephs year 6 cricket team have made history by making the hardball surrey finals in their 1st time competing in the event. The team made up of 6 year 6 children and 1 child from year 5 only started playing hardball this year. After having a successful quick cricket campaign last year Mr Ford recognised the potential for the team with a bit of practice to compete at hardball. The team entered the Connellan Trophy the biggest event in Surrey for hardball cricket and have made it all the way to the finals after beating Wimbledon Chase in the semi finals by 2 runs. An incredible bowling display saw St Josephs take 6 wickets for 58 runs, meaning a total of 59 was needed off 10 overs for the win. After a nervy start and the the loss of captain Sailesh Chopra, it didn't look promising for SJP however a superb partnership from Shaam & Cameron steady the ship and got the runs on the board. Cameron has superb innings and had to retire after hitting 20 runs off of 4 overs. Eventually St Joseph's reached the target of 60 runs and progressed to the finals. The finals will be played at Banstead Cricket Club on Tuesday 11th July 10;00 - 4:30. What an incredible achievement for a small 1 form school.